The John Deere 48 in. Bagger for John Deere 100 Series Tractors is easy to install without the use of tools. It features open-weave polyester bags that provide better airflow and cut quality. Fits John Deere 100 series tractors with a 48 in. deck. 48-inch Bagger for John Deere Lawn Mowers The John Deere 48 in. 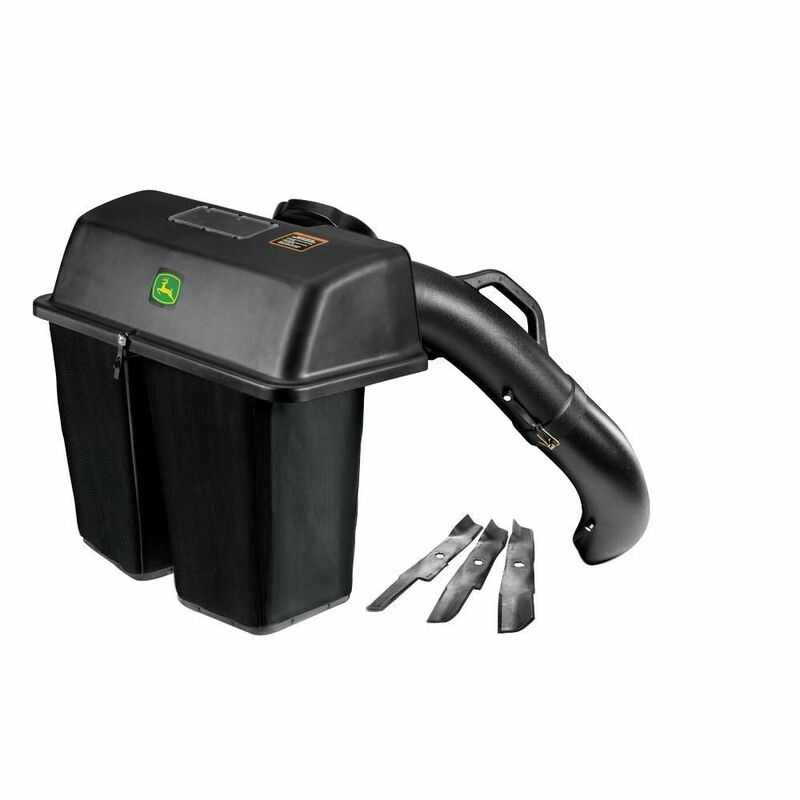 Bagger for John Deere 100 Series Tractors is easy to install without the use of tools. It features open-weave polyester bags that provide better airflow and cut quality. Fits John Deere 100 series tractors with a 48 in. deck. 48-inch Bagger for John Deere Lawn Mowers is rated 3.9 out of 5 by 187. Rated 1 out of 5 by Bobby from My old lawn mower had a twin rear bagger where the bags were plastic tubs. They were durable and ... My old lawn mower had a twin rear bagger where the bags were plastic tubs. They were durable and easy to empty and could be rinsed out with hose afterward, perfect. For more money this bagger has cheap cloth bags that are difficult to empty as the grass sticks in the cloth instead of the smooth surface of plastic. Be prepared to be covered in grass clippings head to toe as you have to reach your arm into these cloth bags to pull out the grass especially if you have leaves and small sticks or stems. Be ready for your garage to smell like a sewer from rotting, decaying grass trapped in the cloth bags that can not be rinsed out with a hose like the plastic totes. Absolute junk. Rated 3 out of 5 by Mike from Works well, but the assembly manual is very poor... Works well, but the assembly manual is very poor displaying the configuration properly. Rated 5 out of 5 by JJ from I like the John Deere and it my second one... I like the John Deere and it my second one .The last one is still working and will do the leaf job with ease , however I did want to update after 17 years . The John Deere seat makes my jobs so much better and I also like the way this E140 feels. The oil change will be a breeze and filters are easy access.